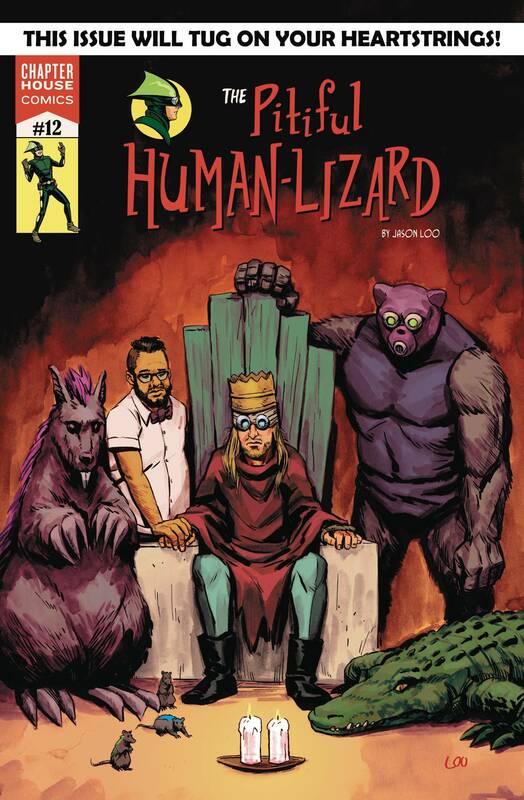 It's like a new #1 except it's #12 as The Pitiful Human-Lizard goes monthly! Get your box of tissues ready as we remember the lives of Carter the rat and Gruber the alligator through the origin story of Majestic Rat. Find out how Kenneth gets from pet store clerk to the king of Toronto's sewage system!